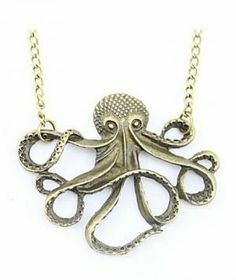 Nautical Style Octopus Necklace you will be looking your metal best. 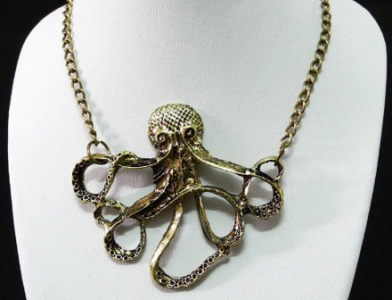 This octopus has an antiqued brass finish and eyes that stare at you in that other-worldly underwater manner. The tentacles look nearly as "oozy" as they do in real life. Not bad for an inexpensive piece of costume jewelry. You can almost feel that you are on the Nautilus with Captain Nemo while wearing your steampunk best. Nautical Style Octopus Necklace for yourself or as a gift this holiday season, click here. How Far Could You Throw This Horse?